No matter how skilled a player is right now, better basketball shooting can be a reality. But not until something very important starts to happen. The ability of a player to identify and correct his own shooting errors. Feedback from coaches is very important as players are developing their skills. Part of the learning process requires pointing out what is wrong and how to fix it. But it isn't until players can figure out for themselves why they miss a shot that they can become a better shooter. They can sink a breakaway lay-up. They nail the free throw when they get fouled. They hit consistently when they have the open set shot, and they're deadly with their jump shot. Great players have mastered the basketball shooting technique for each of these shots. In part, because they've learned to pinpoint the cause of their shooting errors and make corrections. You can learn to do the same. There are a lot of moving parts in a basketball shot, and a lot of things can go wrong at any given time. By learning how to analyze their shots, players can learn how to become their own personal shooting coach. *Note: The shooting technique for the set shot, jump shot, and free throw share a lot of similarities. So, instead of repeating the same tips, refer to the set shot first and then note the additional comments for the jump shot and free throw. Use this interactive video to help you fix the shooting problems you're having. Ball is released off of the ring finger instead of the index and middle finger "V"
You jump forward rather than upward. Your forward motion causes the ball to slam into the backboard or rim with a flat trajectory instead of banking up high off the backboard so it can drop in. 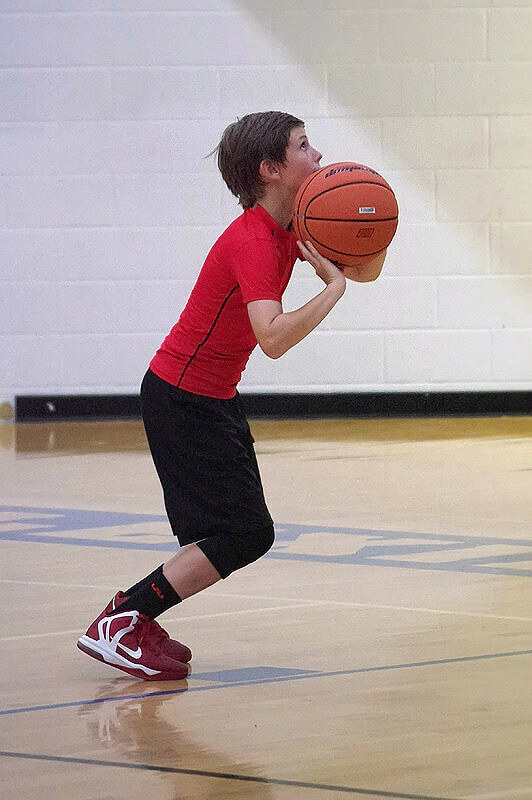 You go too fast, get off balance, and lose control of the ball so it comes off your shooting hand improperly. You are out of control on your take-off, so you charge into your defender and then can't get back on defense quickly. You swing the ball to the side before taking it up for the shot, exposing it to the defense. This allows the defender to block the shot or steal the ball. 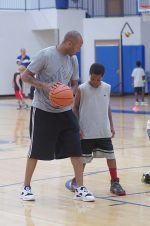 The best way to achieve better basketball shooting is with a lot of practice using good basketball shooting drills and games. When it comes to correcting mistakes, video is a helpful tool for helping coaches and players identify and correct errors in shooting form.